CHICAGO--(BUSINESS WIRE)--St. George Logistics (“STG”), North America’s leading provider of specialty 3PL and transportation services critical to the global supply chain, announced today the appointment of Tracy Leinbach to its Board of Directors. Leinbach is a seasoned logistics industry executive who most recently served as the Chief Financial Officer and Executive Vice President of Ryder System, Inc. (NYSE:R). She currently serves on the boards of Hasbro, Inc. (NASD:HAS) and Veritiv Corp. (NYSE:VRTV), among other companies. Leinbach formerly served on the board of Forward Air Corp (NASD:FWRD). Tracy Leinbach spent the majority of her career serving in various senior operational and financial management positions with Ryder System, a multi-billion dollar global logistics company. Most recently, Leinbach served as Ryder’s Chief Financial Officer and Executive Vice President. Prior to that, Leinbach led Ryder’s U.S. operations as Executive Vice President for Fleet Management Solutions. In previous positions, Leinbach was responsible for operations in Canada, Mexico and Europe. Prior to joining Ryder, she was a CPA with Price Waterhouse. 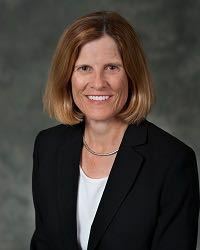 Leinbach holds a bachelor's degree from William & Mary and an MBA from the Kenan Flagler School of Business at the University of North Carolina. Since retiring from Ryder, Leinbach has been an active director on corporate and non-profit boards. She has served as an independent director on the board of Hasbro since 2008, and she served as its Presiding Director from 2011 to 2013. Leinbach has served as an independent director on the board of Veritiv since 2014. She also serves on the boards of Blue Cross and Blue Shield of Florida, Inc. and formerly on the board of The College of William & Mary Foundation. Formerly, Leinbach served on the board of Forward Air from 2007 to 2017, including a term as its Lead Director from 2012 to 2014. STG is majority-owned by Chicago-based private equity firm Wind Point Partners. Since the platform’s formation in July 2016, STG has executed seven add-on acquisitions to expand the Company’s scale in transportation, value-added warehousing, distribution, and fulfillment. Wind Point and management expect that acquisitions will continue to complement STG’s strong organic growth as a driver of future value creation. STG (St. George Logistics) is a leading asset-light provider of complex and highly customized logistics and transportation services focused on the global supply chain. The company’s comprehensive suite of services includes value-added contract services and specialized warehousing including container freight management, inventory management, distribution, and e-commerce fulfillment as well as multi-modal ground transportation. With a network of over 30 multi-purpose technology-enabled facilities, 50 partner locations, and numerous transportation partners, STG provides its customers with one of the most expansive import/export solutions in North America. STG is a key partner for third party logistics providers as well as leaders in the food and beverage, pharmaceuticals, consumer electronics, engineered products, home fashion, retail, and other verticals. STG operates U.S. Customs Bonded, TSA certified, and International Free-Trade Zone facilities. For more information, please visit www.stgusa.com. Wind Point Partners is a leading Chicago-based private equity investment firm with just over $2 billion in assets under management. Wind Point focuses on partnering with top caliber management teams to acquire well-positioned middle market businesses where it can establish a clear path to value creation. The firm targets investments in the consumer products, industrial products, and business services sectors. Wind Point is currently investing out of Wind Point Partners VIII, a $985 million fund that was initiated in 2016. For more information, please visit www.windpointpartners.com.